Hotchocspoon, 50 gram. Packed per 20 pieces in a box. Storage: 15-20°C. be carefull with sunlate. Stirr in 200ml whole milk. 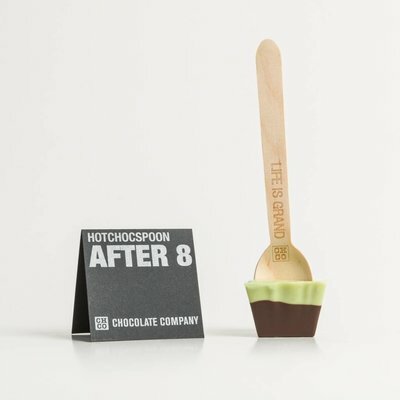 Add mendiants (dark or milk) for your hotchocspoon XXL (300ml whole milk).